McCann Redi-Mix has concrete pumps ranging in size from 28M to 39M. 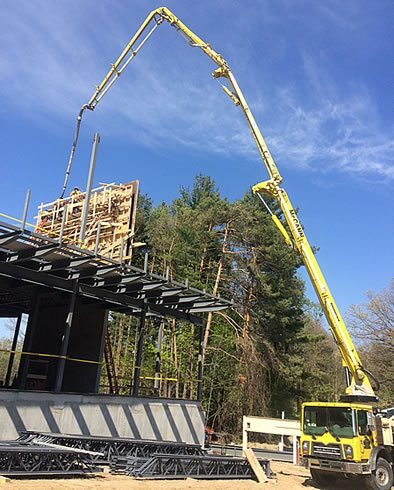 Our pump operators are trained annually through certification courses developed and maintained by the Ready-Mix Concrete Association of Ontario. Call today to book one of our pumps for your next pour.